The first thing I noticed about Emily and Dylan was that they seemed the most themselves when they were next to each other. When we shot their engagement photos I recognized right away that they made each other feel safe. I would ask them to do something weird and they would lock eyes like “ok.. let’s do it…ready?” By the time their wedding rolled around they were used to my antics. You would think asking a bride, in a stunning Anne Barge gown, and a groom, in a timeless tux, to march through a damp forrest for first look photos would get the kibosh. Not with Emily and Dylan. Just like before… when they did their first look they seemed to settle in and feel relieved to be by each others side finally. 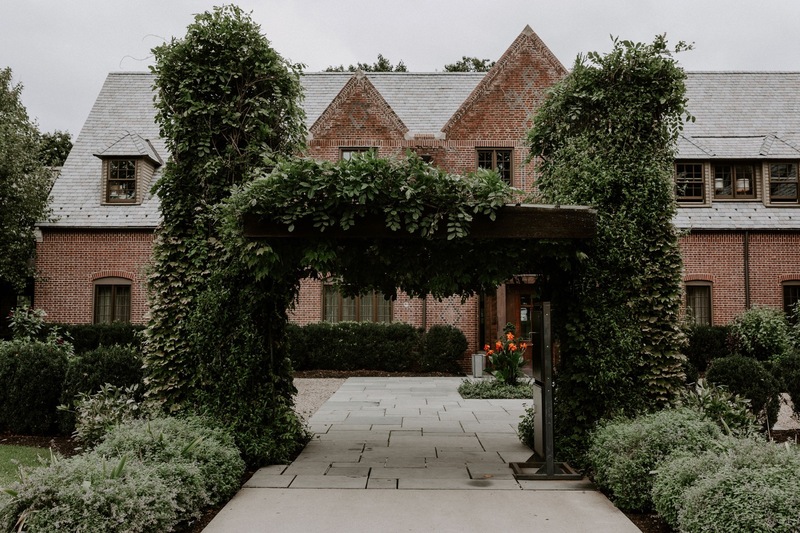 Emily and Dylan chose the perfect spot for their elegant estate wedding in Gladstone, New Jersey. Being self proclaimed foodies (I learned early on about their love for burrata.. which duh… it comes straight from heaven, God rolls it himself and it appears on your plate). The Mansion at Natirar provided them with not only an epic backdrop for their ceremony but also a farm to table experience from start to finish. Guys!!! They have a live wall in the reception room that is so epic. Emily wanted an Old Hollywood feel with Bohemian touches. The design team at Oleander Curated executed her vision perfectly. I seriously couldn’t stop talking about how gorgeous the flowers were. Honestly… just look at them! It was a wildly elegant event from start to finish! But not to worry… they also know how to party! Don’t forget to check out the dance floor shots. Ohh I forgot to mention, Emily and Dylan moved to Atlanta about 6 months before their wedding. So not only did they plan a sophisticated and gorgeous wedding but they did from 6 states away!